The St. Cloud Police Department Canine Unit currently includes two canines which are assigned to two officers. 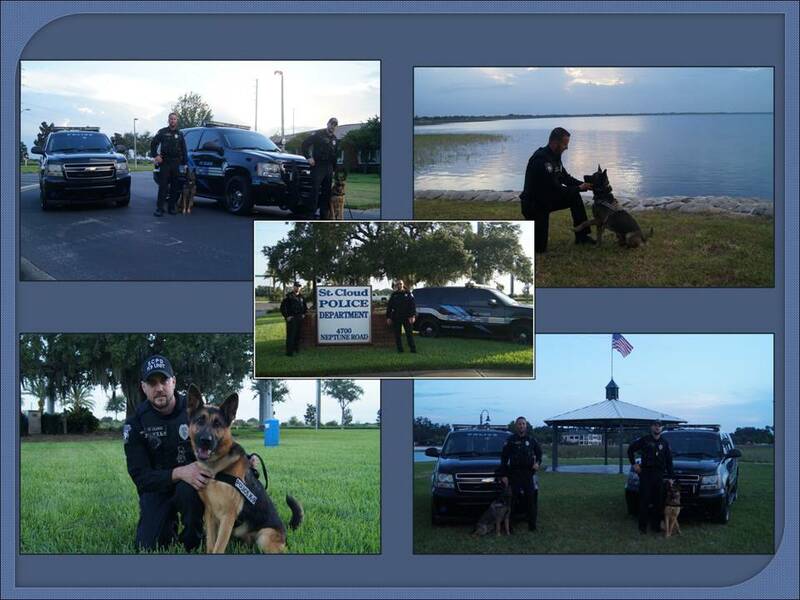 The officers are referred to as handlers and together; the officer and the canine make a team. As a team; they live together, work together and train together. Both teams are certified, dual purpose police canine teams. This means the canines are used to conduct narcotic detection, as well as track and apprehend suspects who flee and/or hide. Canines are also used to track missing persons as needed.